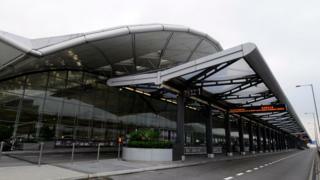 A man has lost HK$2m ($257,730; £175,530) in cash and valuables from his hand luggage, during a flight into Hong Kong, police said. Hong Kong police said a male 39-year-old foreigner alerted airline staff early on Monday, who then called the authorities. Police said the man had lost two watches and foreign currency. Local media said the man was a Turkish watch merchant flying in economy class from Dubai. A spokesperson for Emirates, the airline the man took to Hong Kong, told the BBC: "Emirates is working closely with the police department and providing information to assist with their investigation." Emirates said it would not be providing further comment, citing the ongoing investigation. There have been increasing reports of mid-air thefts around the world, some of which are said to involve organised gangs.